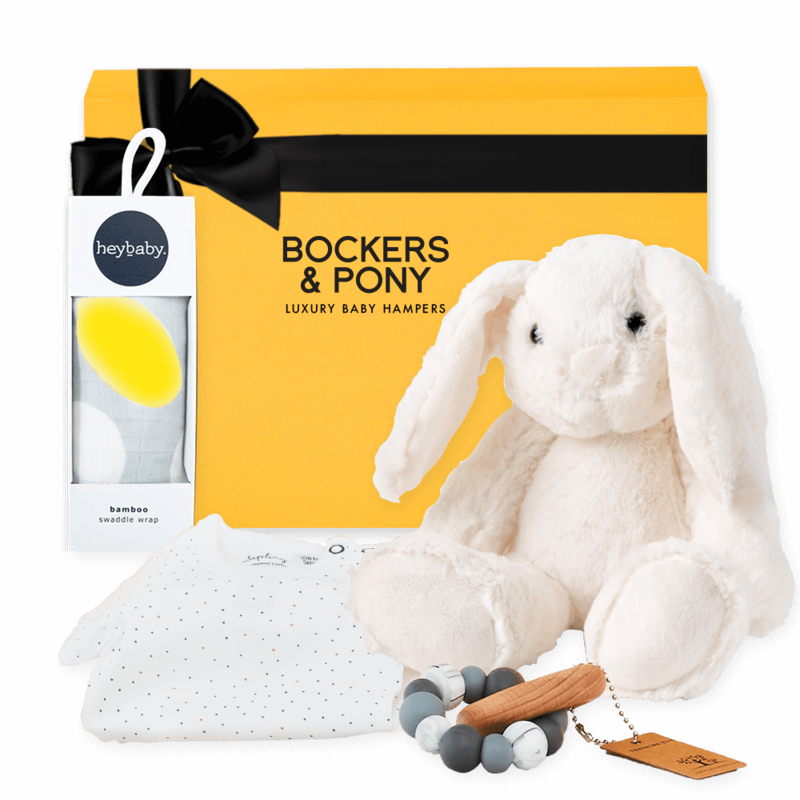 Gift Bockers and Pony's very own soft little bunny to a newborn baby, for the cutest cuddles. The Pure Baby sleeveless bodysuit features a soft ribbed envelope neckline and snap buttons at the nappy for easy dressing. The all in one style ensures the stomach and back stay covered. A necessary year-round style for all newborns to wear as an individual piece or layered under cardigans and pants. Nature Bubz Teether that will provide relief from teething pain and that seamlessly fit with your modern style and Hey Baby Grey bamboo swaddle wrap that is perfect for little ones with sensitive skin and is excellent at keeping all the heat in and moisture away.